Actress Gal Gadot lends support to model, after Netanyahu chided her for endorsing Israel as 'state of all its citizens'. 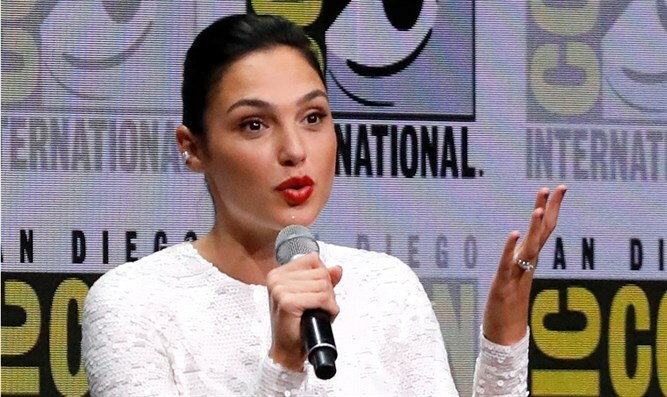 Actress Gal Gadot appeared to back up an Israeli model who chided the Likud over its campaign rhetoric, declaring Israel to be a state of all its citizens. The story began when Rotem Sela, an Israeli actress and model, ripped Prime Minister Binyamin Netanyahu’s Likud party over its warnings that the Blue and White party could form a ruling coalition with the backing of anti-Zionist Arab factions. Responding to an interview Saturday by Rina Matzliah with Culture Minister Miri Regev (Likud), Sela wrote on Instagram “I see Miri Regev sitting and explaining to Rina Matzliah that the public needs to be careful because Gantz will form a coalition with the Arabs if he is elected,” she wrote. With polls showing the right-wing – religious bloc and the left-wing – Arab bloc nearing parity, Netanyahu and others from the Likud have warned that Gantz could form a narrow governing coalition, relying either on the anti-Zionist United Arab List-Balad party or Hadash-Ta’al party to secure a majority. Following Sela’s comments, Prime Minister Netanyahu responded – both via social media, and in his weekly cabinet meeting statement – noting that Israel is not, in fact a “state of all its citizens”, but a Jewish state. Later on Sunday, actress Gal Gadot, best known for her role as the titular character in “Wonder Woman”, weighed in, writing that the issue wasn’t a matter of politics, but of “tolerance”. "Love thy neighbor as thyself," wrote Gadot.